Click on the links above to view the galleries. We welcome any comments, feedback or requests you may have. Click the	Contact Me link above to have your say. We produce a bi-monthly newsletter sent to your e-mail box containing current	releases, offers and latest news for	Pendraken Miniatures 10mm ranges. Please keep your ideas for models not already in the Pendraken WW2 Range coming, click on the feedback link below and send in your request(s). 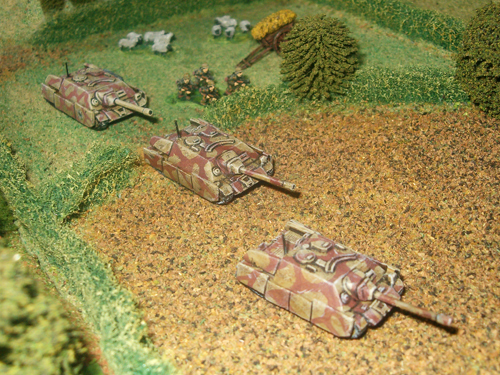 This is only a visual sample of the Pendraken 10mm World War 2 range of vehicles and infantry. For the full lists of this range please click on the	link	above, Pendraken Home. Models sculpted or converted and painted by Brian George, unless otherwise stated.